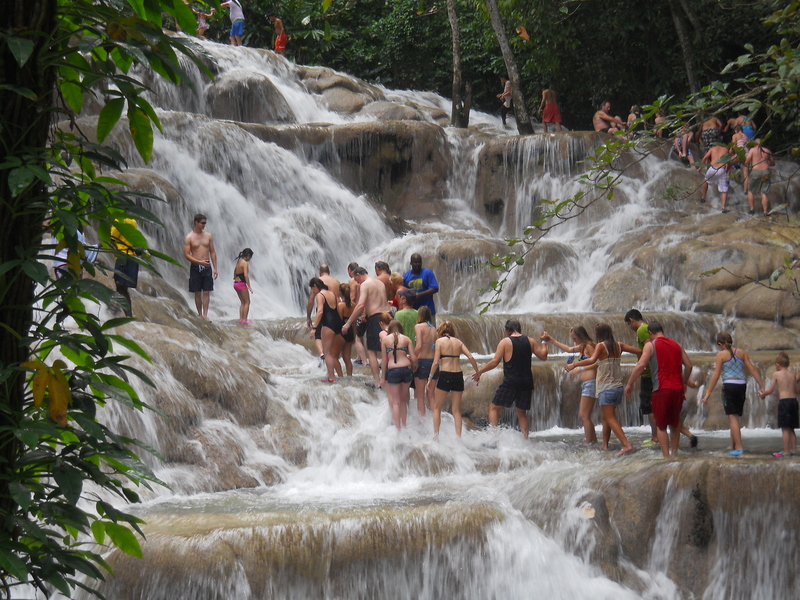 Dunn’s River Falls and Park is internationally acclaimed and a local gem in the Jamaican landscape. The self-regenerating falls protrude from an extensive layer of rock formation which prove exhilarating for the numerous rock climbing visitors. Bordered on either side by rich, tropical vegetation, the falls flow into the sea and is navigated easily; but with the assistance of capable tour guides and in a human chain formation.